Vladimir Guerrero Jr. has more hype surrounding him than any prospect in recent memory. But given his injury and service time dilemma, he won’t be featured on the Blue Jays’ Opening Day roster. Though he may have to wait a little, his time will come. But it’s not just Vladdy. With the season set to get underway later this week, TSN.ca takes a look at other highly anticipated prospects who could see action in 2019. Players worth $300 million typically don’t make concessions, let alone right after signing a megadeal. But having both Manny Machado and Fernando Tatis Jr. in the same organization also isn’t typical. On the day the Padres made Manny Machado’s signing official, Jon Heyman of MLB Network reported that Machado will shift from his natural position of shortstop over to third base to make room for Tatis when he arrives. A four-time All-Star switching positions for a 20-year-old with no big league experience? Tatis seems like he’s just that good. 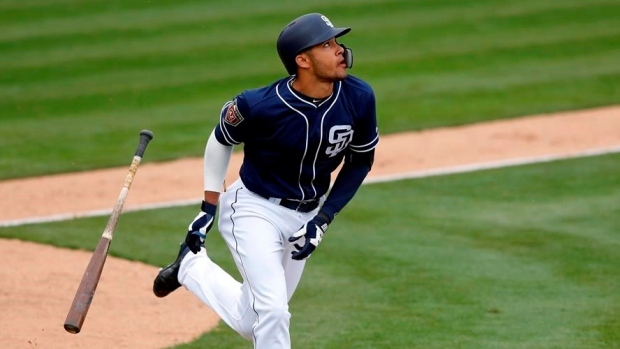 In 88 Double-A games last season as a teenager, Tatis hit .286 with 16 home runs and is the consensus No. 2 prospect in baseball behind Guerrero Jr.
Tatis hasn’t played above Double-A and missed a large chunk of last season with a thumb injury. But that isn't stopping the Padres from throwing him into the fire as they announced Tuesday he will make their Opening Day roster. With service time manipulation becoming even more common for top prospects, the Padres chose not to wait. Now, they're set for years on the left side of the infield. Machado isn’t going anywhere, and Tatis isn’t either. Robles isn’t like many of the other top prospects on this list. At just 21 years of age, Robles already has big league time under his belt. Two years’ worth, in fact. He was a September call-up in 2017 and played 21 games with the Nationals last season. The sample size is small but the results have been impressive. In 93 plate appearances over 34 games, Robles hit .277 with three home runs and an OPS of .843. With his big league clock ticking, Robles will open the season in the majors and bat ninth said manager Dave Martinez. According to The Athletic’s Brittany Ghiroli, not only will Robles be with the team, he will likely occupy the starting centerfield spot. This would push Adam Eaton to right and Michael Taylor to the bench when he recovers from a knee injury, but Eaton’s injury history (118 games played the past two seasons) means Taylor might not see a dramatic reduction in at-bats once healthy. 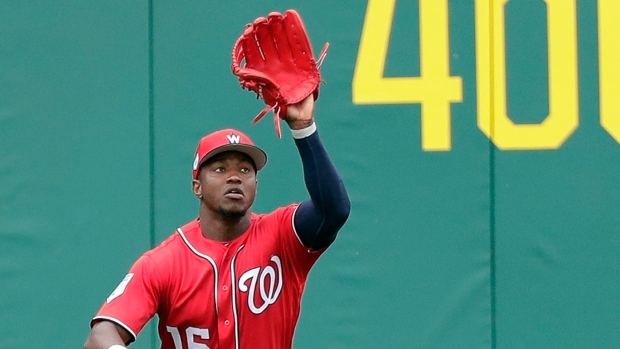 If Robles struggles early on, the Nationals have options to replace him. If not, an outfield trio of Robles, Eaton and 19-year-old Juan Soto could make Nats fan forget about Bryce Harper switching to a Philadelphia Phillies uniform awfully fast. Nick Senzel is no stranger to high expectations. He’s carried them ever since he was the No. 2 pick in the 2016 draft. For the last two years, he’s been a consensus top-10 prospect in baseball and 2019 looks like the year he’ll finally break through at the big league level. But it won’t be right away. The Reds sent Senzel to Triple-A last week and his agent wasn’t happy, calling it “an egregious case of service-time manipulation.” Joel Wolfe also said the demotion of Senzel goes against what the team says is their goal this season of competing in a deep National League Central. Cincinnati took on a lot of money in an off-season trade with the Los Angeles Dodgers and haven’t made the playoffs since 2013. Manager David Bell offered his explanation of the move. Senzel was confronted with a similar dilemma the Blue Jays faced with Vladimir Guerrero Jr. – if the Reds wait until a couple weeks into the start of the regular season, they gain an extra year of control. Senzel’s time is coming. Just not quite yet. 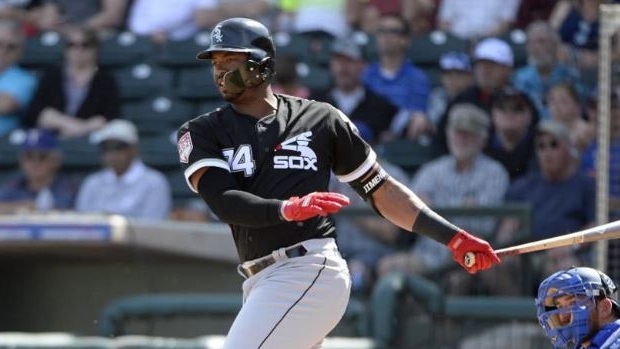 The hype around Eloy Jimenez is so big that he signed a six-year, $43 million deal before playing a single game at the big league level. It’s just the third deal of its type ever signed and is the highest for any player with zero service time by almost double. Outside of Guerrero Jr., Jimenez might have the most big-league-ready pedigree out there among prospects. At both Double-A and Triple-A last season, Jimenez hit .337 with 22 home runs and 75 RBI in just 108 games. He was just as good the season before. Jimenez could join the White Sox sooner than expected. It was originally thought Jimenez would start the season in the minors in order for the ChiSox to gain an extra year of contractual control, but with his guaranteed-money deal, could this mean we’ll see him on Opening Day? 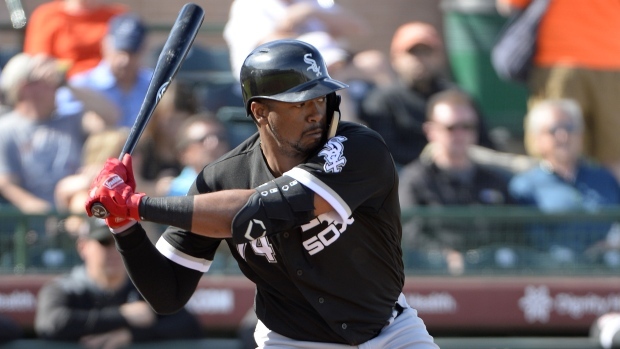 “We think he’s going to be an impactful White Sox for a long time, and sending him out really doesn’t change our long-term view of him. He responded well with some of the things we talked about with him last season,” Chicago general manager Rick Hahn said of Jimenez after optioning him. 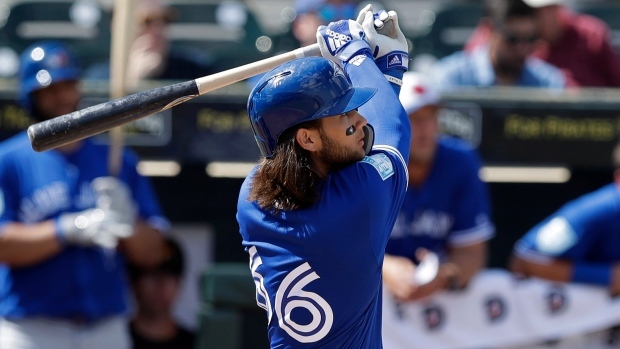 Before being sent to minor league camp, Bo Bichette stole the show from Vladdy Jr. in Dunedin. Like his fellow phenom, he won’t be with the team to start the season, but Bichette made an impression. A big one, too. In 21 games this spring before being sent to minor league camp, Bichette hit an absurd .417 with four home runs and an OPS of 1.308. The 21-year-old shortstop hasn’t played at Triple-A yet and faces the same service dilemma as most top prospects, so when we could see him at the big league level isn’t immediately clear. He had his struggles at times last season with the Double-A New Hampshire Fisher cats but still prevailed to a .286/.343/.453 slash line – still quite impressive for a 20-year-old shortstop. For the time being anyway, it’s likely Bichette remains in Guerrero’s shadow. That’s just fine by him. The duo has been tied at the hip for much of their time in Toronto’s organization. They’ll reunite at the big league level soon enough. Pete Alonso isn’t your typical blue chip prospect. He wasn’t a first-round pick (second round, No. 64 overall) and didn’t come into spring training with as high a ranking. 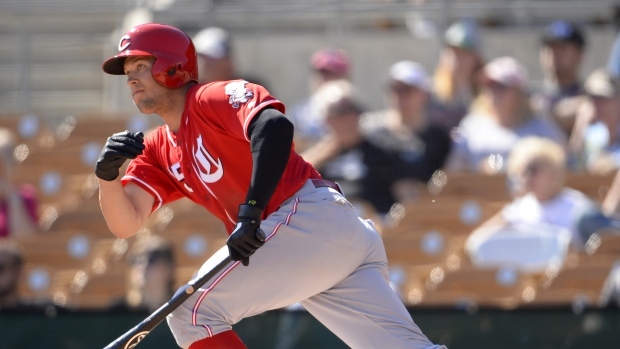 Alonso, 24, has been one of the most impressive players this spring across all of baseball. In 21 games, he is hitting .368 with four home runs and 11 RBI. It’s not a revelation. Combined between Double-A and Triple-A last season, Alonso had 36 longballs and an OPS of .975. His power numbers are no surprise given his 6-foot-3, 245-pound frame. But it’s his play at first that has also stood out to Mets manager Mickey Callaway in Grapefruit League play. “He’s done a great job on defence. I love the way he’s engaged, he’s moving guys around,” Callaway said. 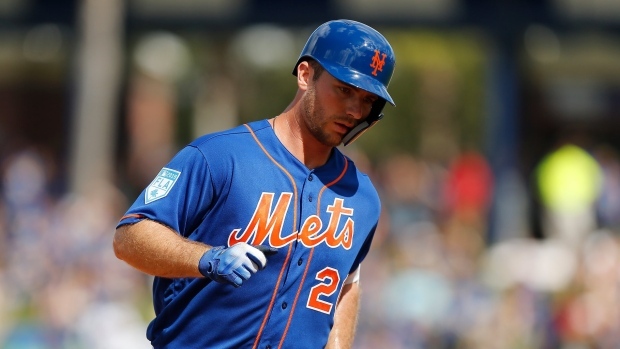 The Mets have said they want to begin the season with their best 25 guys – service time be dammed – so they’re bringing him to Washington for the opener according to Jon Heyman of MLB Network. While the Mets haven’t officially confirmed, manager Callaway already hinted at batting Alonso second in the lineup on Opening Day. That’s a pretty good indication.